The videos were tweeted by a leader of the far-right Britain First party and have not been verified yet. 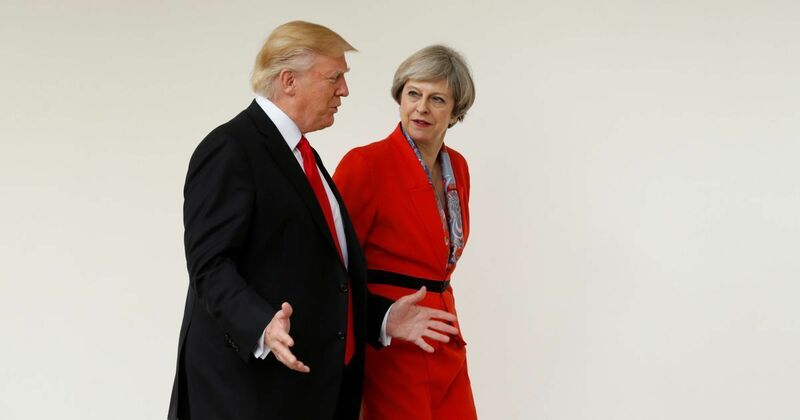 United States President Donald Trump on Thursday dismissed United Kingdom Prime Minister Theresa May’s criticism of his decision to retweet three videos depicting purported violence by Muslims. The videos were tweeted by a leader of the far-right Britain First party. The videos have not yet been verified. “Do not focus on me, focus on the destructive radical Islamic terrorism that is taking place within the United Kingdom,” Trump tweeted. May’s spokesperson had said that is was “wrong for the president” to have retweeted the videos. The United States and the United Kingdom are close allies. Trump had retweeted the videos shared by Jayda Fransen, the deputy leader of Britain First, who was convicted in 2016 for “religiously aggravated harassment” and has been arrested multiple times. Fransen was arrested on November 19 for alleged hate speech. One of the videos Fransen tweeted and Trump retweeted showed an “Islamist group” pushing a boy off a roof. The second claimed to show a Muslim destroying a statue of the Virgin Mary while the third showed immigrants hitting a Dutch boy on crutches. The retweets soon met with condemnation by several Twitter users while Fransen herself expressed happiness by saying, “God Bless You, Trump” and “God Bless America”.